Welcome to our resources section. On this page, you'll find some of our favorite tools, courses, products, and websites. Some were developed by us, and others are created by experts we trust and respect. Check back here periodically. We're always adding new products we love. Some of the links below are affiliate links, which means that if you choose to make a purchase, we will earn a commission. This commission comes at no additional cost to you. Please understand that we have experience with all of these companies, and we recommend them because they are helpful and useful, not because of the small commissions we make if you decide to buy something. Please use your own good judgment in choosing the tools that will help you achieve your goals. 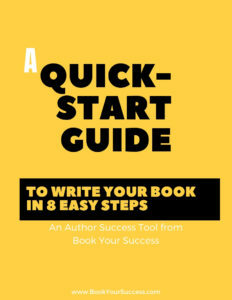 Discover how to write your book in 8 easy steps. Get the free guide. 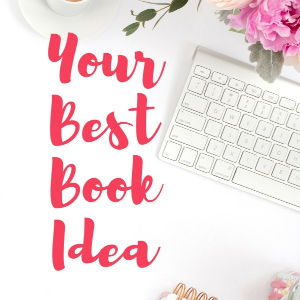 Are you torn between too many book ideas? Or worried the one idea you have might not be good enough or different enough to sell? This workbook will walk you through a process to choose and validate your money-making book idea! Learn more. 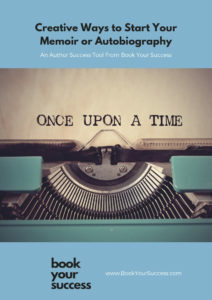 You don't have to tell all your personal business to write a bestselling memoir or autobiography. And you don't have to start with the moment you were born! Discover how to start your life story and keep your readers turning the pages with this exclusive guide. Get it now! Writing a book doesn't have to be hard. 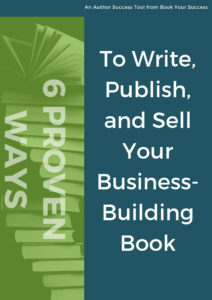 In this course, we walk you step by step through the process to write and self-publish your book. With short, easy-to-follow video lessons, tips, tricks, templates, and more, you'll be done with your first draft within 90 days, and have a finished book just a short time later. Learn more. Do you wish you had more time to write your book? Are you stuck somewhere in the middle because of writers block? 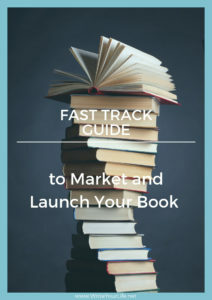 Or are you wondering how to finally get started writing your book? If you answered "yes" to any of those questions, then Virtual Writer's Lab is for you. Find out when the next 4-week session is scheduled. 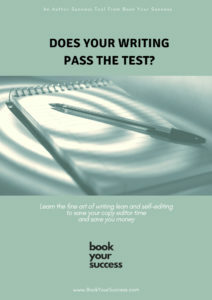 Does Your Writing Pass the Test? Writing a book can be so much easier when you're confident in your writing skills. Fortunately, we've created a guide that gives you the specific steps you need to write better and self-edit. This easy guide saves you time, saves your copy editor frustration, and saves you money. Get it now! Fortunately, writing your book, self-publishing, and ramping up book sales is simple when you have a system to follow. Discover how to share your message and your expertise in a book to get more clients and customers. Get it now! This membership group includes a library of resources to help you increase book sales, use your book to earn more income, and leverage your book to accomplish your goals. Group members also have access to author coaches Anita and Candice on our monthly strategy calls and in our private Facebook group. Learn more. If you've written a book, but it's not selling the way you hoped, you're not alone. If you're writing a book, and you're worried about how you're going to market it when it's done, you're in good company. Discover our 3-prong approach to get your book in front of the readers who've been waiting for it.